Sometimes your employees just don’t behave or perform as you would like them to. BBS can help you to manage your employees and provide motivational or disciplinary action as needed to keep your company running efficiently and productively. BBS can make sure all the appropriate paperwork is completed and all disciplinary conversations are documented to meet regulatory and legal requirements. No one likes to deliver bad news. But when an employee is not working out, delivering the message is best for your company and for the employee. Unfortunately, many regulatory agencies have been established to protect employees from discrimination and wrongful termination. If you aren’t familiar with the local, state and national laws regarding employee terminations, you could end up with problems and even fines from saying or doing the wrong thing. BBS takes the hassles away in the termination or disciplinary action process. We have processes, systems, and forms that can correctly handle any corrective action or any terminations and that meet or exceed all regulatory requirements. We make it easy for you to focus on running your business while we work to assure that your employees are more productive or we can terminate those employees that are just not a good match for the evolving needs of your business. BBS can also take care of your employee performance review process and allow you to give feedback to employees to let them know how they are doing, to reward them for excellence, and to provide guidance, training and constructive feedback as needed to improve overall performance. Without feedback, your employees may not know what they are doing right and where they can make improvements and you may not be able to terminate a poor performing employee if you haven’t provided the corrective feedback and documented it appropriately. 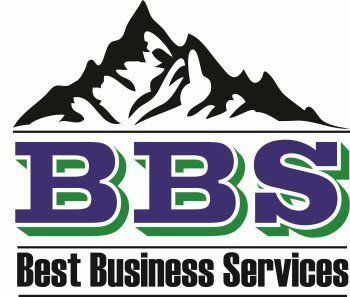 BBS is your partner in ensuring that each employee understands his or her contribution to the company’s overall success and knows what they are doing right and where they can make improvements in the work effectiveness and efficiency. BBS can be involved with your disciplinary process as much or as little as works best for you. Our services are customized to the specific and unique needs of each of our clients. Our goal is to help you to become the best organization you can and to give you the information and tools you need to help each of your employee contribute to your company’s success.